Park East Apartments is located in the University North submarket of Tampa near some of the most prominent institutions and employment centers in the entire Tampa Bay market. Situated less than two miles from the University of South Florida, as well as near major health care providers including Moffitt Cancer Center, Park East has outstanding proximity to growing employers and demand drivers. 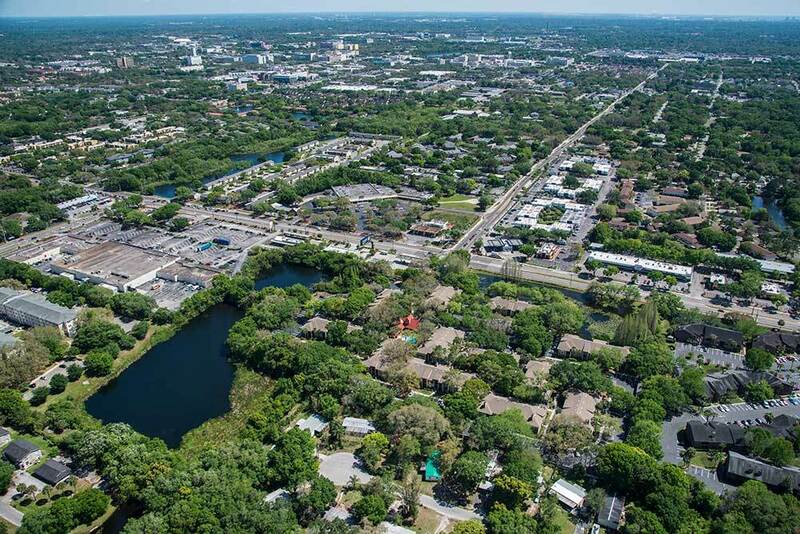 From Park East’s convenient signaled location on Bearss Avenue, residents are minutes from a wide variety of employers as well as desirable entertainment, diverse recreation and key transportation routes. Significant medical, office, retail and commercial development near Park East provides an abundance of jobs and demand for rental housing. Park East’s location along Bearss Avenue provides quick access to a variety of employers including USF, four large medical centers, significant office parks with major credit tenants, and much more. Nearby shopping, dining, entertainment and recreation options abound including University Square Mall, Tampa Premium Outlets, The Shoppes at Wiregrass and Busch Gardens. Residents commuting throughout the Tampa Bay MSA take advantage of Park East Apartments's proximity to highly-traveled roadways such as I-275, I-75, Bruce B. Downs Boulevard and Fletcher Avenue.